Server-side rendering is hard to implement for all the intermediate states - small view states do not map well to URLs. Single page apps are distinguished by their ability to redraw any part of the UI without requiring a server roundtrip to retrieve HTML. This is achieved by separating the data from the presentation of data by having a model layer that handles data and a view layer that reads from the models. What is wrong with holding a model layer for non-SPA? 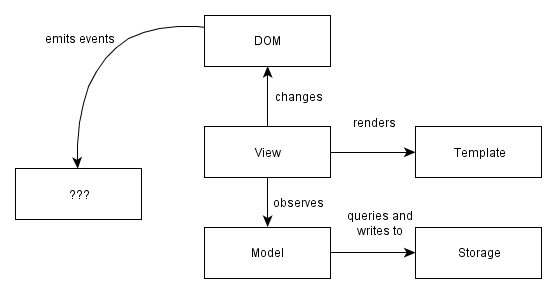 Does SPA the only compatible architecture with MVC on client side? 2. With SPA we don't need to use extra queries to the server to download pages. Hah, and how many pages user can download during visiting your site? Two, three? Instead there appear another security problems and you need to separate your login page, admin page etc into separate pages. In turn it conflicts with SPA architecture. 3.May be any other advantages? Don't hear about any else..
SPA is fast, as most resources (HTML+CSS+Scripts) are only loaded once throughout the lifespan of application. Only data is transmitted back and forth. The development is simplified and streamlined. There is no need to write code to render pages on the server. It is much easier to get started because you can usually kick off development from a file file://URI, without using any server at all. SPAs are easy to debug with Chrome, as you can monitor network operations, investigate page elements and data associated with it. It’s easier to make a mobile application because the developer can reuse the same backend code for web application and native mobile application. SPA can cache any local storage effectively. An application sends only one request, store all data, then it can use this data and works even offline. UPDATE 27.09.2017: Nowadays, it’s not an issue anymore. Write-only DOM. No state / data is read from the DOM. The application outputs HTML and operations on elements, but nothing is ever read from the DOM. Storing state in the DOM gets hard to manage very quickly: it is much better to have one place where the data lives and to render the UI from the data, particularly when the same data has to be shown in multiple places in the UI. Models as the single source of truth. Instead of storing data in the DOM or in random objects, there is a set of in-memory models which represent all of the state/data in the application. Views observe model changes. We want the views to reflect the content of the models. When multiple views depend on a single model (e.g. when a model changes, redraw these views), we don't want to manually keep track of each dependent view. Instead of manually tracking things, there is a change event system through which views receive change notifications from models and handle redrawing themselves. Decoupled modules that expose small external surfaces. Instead of making things global, we should try to create small subsystems that are not interdependent. Dependencies make code hard to set up for testing. Small external surfaces make refactoring internals easy, since most things can change as long as the external interface remains the same.